Medium/Large - $3.99 Only 7 left! Alright, lads, fall in! Join forces with your best buddies for Halloween and dress as a cohesive unit. Or go solo for the evening and practice your stealth skills in all of the party’s hidden corners. Either way, you’ve got moxie, kid, and the troops could use the addition of someone like you to their ranks. 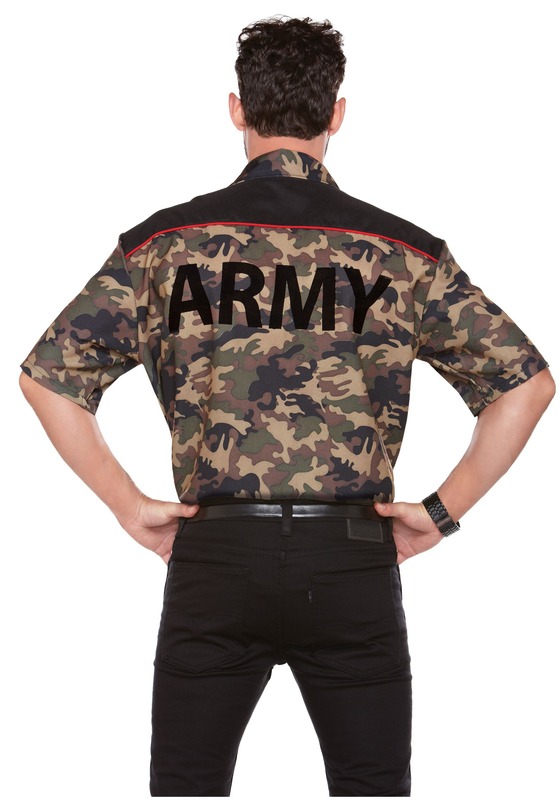 But before you sign your name on the dotted line, you should give this Men’s Army Shirt a test run, you so you can see how how good you look in camouflage, first! You have always marched to the beat of your own drummer, but this look will let you keep time with a team of like-minded revelers for the night. 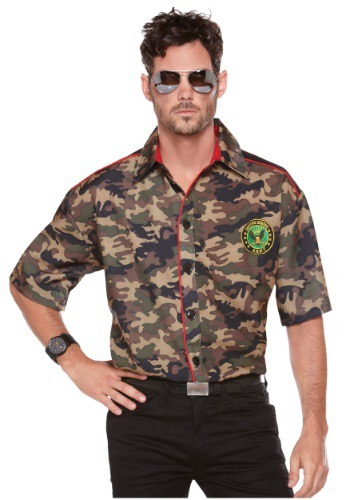 But be careful, in this slick shirt it would be easy to have way too much fun and go totally AWOL.